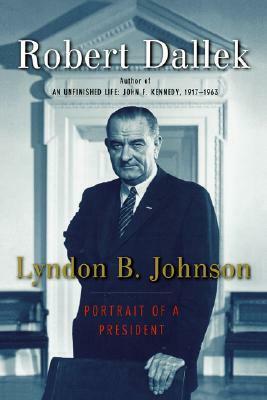 “Lyndon B. Johnson: Portrait of a President” is Robert Dallek’s 2004 abridgment of his two-volume series on LBJ which was published between 1991 and 1998. Dallek is a retired professor of history and the author of nearly two-dozen books including a bestselling biography of JFK (which I recently read) and a more recent dual-biography of Richard Nixon and Henry Kissinger. For many readers, the brevity of “Portrait of a President” (with just 377 pages) will make it a tempting alternative to Dallek’s full series which clocks in at more than 1,200 pages. Other than the missing notes and bibliography, this single-volume abridgment is extremely faithful to the underlying series, packing nearly all the punch of the two volumes but in just one-third the space. Like the series, “Portrait of a President” is more a political than personal biography. Readers learn almost nothing of LBJ’s family life and relatively little of his youth. The book’s first ten pages cover Johnson’s first two decades and Dallek spends virtually no time in this biography exploring Johnson’s relationship with his wife and daughters. And anyopne unaware of LBJ’s penchant for promiscuity will not be meaningfully enlightened here. Although readers will finish this book with an excellent understanding of LBJ’s inherent contradictions and complexity – and a keen appreciation for his larger-than-life persona – missing will be any sense of actually knowing or understanding the man. Dallek does a nice job keeping Johnson at the center of the action, but the reader never sees the world through his eyes or feels any personal connection with him. Like the series from which it was distilled, this biography reveals the writing style of a historian and not a storyteller. Facts appear in abundance…but an engaging, colorful narrative is nowhere to be found. Only when Dallek introduces new characters (such as LBJ’s White House aides and his Cabinet members) is the reader drawn into the story-line. Otherwise the book reads more like an articulate but sterile FBI profile of Johnson. “Portrait of a President” is at its best when describing his twelve years in the Senate. This is where his political skills were honed and then successfully deployed and Dallek captures this period adroitly. LBJ’s Vice Presidency – a miserable time in his life by any standard – is also quite well-documented although the series captures these years with even more success. This single-volume abridgment (along with the two-volume series) also proves surprisingly well-balanced. Although the reader eventually deduces the author is a fan of LBJ, Dallek seems earnest in his effort to maintain appropriate distance from his subject. He occasionally seems like an apologist for his subject – often seeking the silver lining around each dark cloud – but is nearly always critical (if not quite censorious) when Johnson errs. Overall, Robert Dallek’s “Lyndon B. Johnson: Portrait of a President” proves both an excellent abridgment and a mediocre biography. Readers lacking the time or tenacity to navigate Dallek’s two-volume series will find this book contains significant “bang for the buck.” But while the public LBJ (the power-hungry and pugnacious politician) is on full display, the private LBJ (the husband, the father of two daughters and the man from modest means always looking over his shoulder) remains largely inaccessible. I like this review because I was wondering whether abridgements are better reads than mutli-volumes. While I think Caro’s multi-volume is probably overkill, I doubt an abridgement of his LBJ series would be interesting at all. Two volumes are about right as there is the first half of a person’s life then the second half. I read only the first two books of TR from the Edmund Morris triolgy and it got quite long-winded after while. I’m about 300 pages into Caro’s first volume and I’m really enjoying it. But much of the magic is how well he sets and describes scenes – he puts the reader at the place and in the time every event occurred. And there’s really just no way to “abridge” that. So I agree that an abridgment of his series is difficult to imagine. I do wish Dallek’s treatment of LBJ was as interesting for me as his coverage of JFK but in the end his LBJ bios lacked the vitality and energy I would expect based on LBJ’s enormous personality. Dallek’s single-volume study is “fine” and the two-volume series is somewhat better, but neither proved ideal (for my purposes, anyway).